Stephen Samuelian (b. 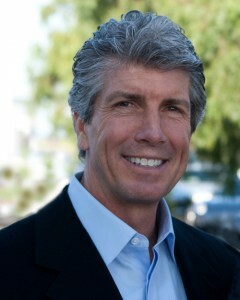 May 15, 1957) is an American real estate developer and entrepreneur based in Southern California. Since his late teens, Stephen Samuelian has been involved in real estate construction and development, earning a contractor’s license from the state of California and establishing his own construction firm to better serve the local communities. Throughout his 40-year career, Stephen Samuelian has focused on finding great possibilities in the commercial real estate market, leveraging his knowledge of the field to create and develop an impressive array of projects. An active philanthropist, Stephen Samuelian is devoted to making a difference in the lives of those less fortunate. Stephen Samuelian serves as a member of several Boards for charities, foundations and philanthropic organizations. Stephen Samuelian is currently a Board Member of Care for Life, an organization to promote education, health and self-reliance for the people of Mozambique, Africa. Additionally, Stephen Samuelian is a Board of Directors member of Rising Star Outreach, an organization that helps citizens of India who are affected by leprosy, among several other diseases. He maintains further commitments with the Samuelian Family Trust and The Perfect Moment Foundation. When not working, Stephen Samuelian enjoys spending time with his seven grandchildren. Throughout a 40-year career in real estate, Stephen Samuelian has completed an impressive array of projects. His vast range of experience extends throughout the commercial and healthcare sectors, and includes development, project management and construction. Stephen Samuelian acquired valuable knowledge about hotel construction projects when he formed a business relationship with hotel entrepreneur and business leader Robert E. Woolley, who has overseen more than 10,000 suites in 45 hotels around the world. Career highlights of Stephen Samuelian include the building of many hotel properties for corporate hotel chains like Embassy Suites, Holiday Corporation, Marriott, Radisson and Travel Lodge. Stephen Samuelian is particularly noted for his success in supporting and guiding construction services involving apartment buildings, hospitals and other medical facilities. As President and Chief Executive Officer of Medcon Inc., Stephen Samuelian held a specialty in construction services for medical facilities – specifically in the fields of surgery and radiology. Stephen Samuelian is a founding partner of both Life Generations Healthcare and Covenant Care Incorporated, providers of clinical and rehabilitation care. A visionary real estate developer with a strong commitment to community engagement, Stephen Samuelian has always found great potential in the commercial real estate market. Stephen Samuelian is the force behind some of California’s most prominent development projects, when he leveraged his expertise, experience, and passion to successfully create spaces for local communities. Stephen Samuelian has continuously served a wide range of clients and customers, providing them with the highest level of service. Stephen Samuelian believes that southern California is a perfect location for entrepreneurs who are looking for a growing opportunity to create viable and innovative solutions for local communities.